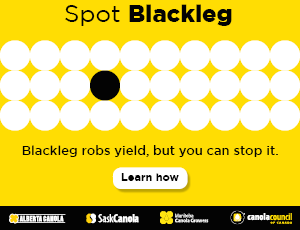 Achieving a high yield per acre is the best way to reduce the environmental and carbon footprints of canola. Vern Baron with Agriculture and Agri-Food Canada (AAFC) led a three part study to assess the environmental footprint of canola production in Canada. Part 1 was a life cycle assessment of Western Canadian canola crop production to see how the environmental footprint changed from 1990 to 2010. This assessment would also determine if implementation of beneficial management practices for canola production affected its environmental footprint. Part 2 looked at existing long-term rotations on the Brown Soil Zone to determine how canola production systems affect emissions of nitrous oxide, the soil nitrogen (N) balance, and the land carbon balance compared with other crops Part 3 was a field-scale study to compare canola and barley on a greenhouse gas balance and energy intensity basis. CO2 eq produced per tonne of canola dropped from 689 kg in 1990 down to 365 kg in 2010 in the Black Soil Zone. CO2 eq produced per tonne of canola dropped from 501 kg in 1990 down to 399 kg in 2010 in the Brown Soil Zone. These large reductions do not include the effect of reduced cropping intensity due to the decline in summerfallow acres. After completing this calculation, the canola footprint will decline further. Part 2 data came from crop rotation studies in Saskatchewan. Analysis of data from Scott, SK found that crops such as wheat following canola emitted significantly more nitrous oxide (N2O) than wheat following peas, and continuous wheat or continuous peas (see Figure 1). Generally, annual emissions were low, but when wheat was grown on canola residue the accumulated emission over three years was substantially larger than the other treatments. Part 3 was based on field scale studies at Lacombe, AB. It found that early-planted canola appeared to sequester more ecosystem carbon than late-planted canola and barley. Because more fertilizer N is used in canola production and more residue is returned from canola to the soil than from barley, canola production may result in larger amounts of N2O emitted than barley. Desjardins, R. L., Campbell, C. A., Grant, B. B. and Miller, P. R. 2013.